At Phones Review we often bring readers details about new or upcoming apps and today we have news of one that we think will be hugely popular. The Marvel: War of Heroes app is coming to the iOS and Android platforms on October 11, so not too long to wait now, and we also have details of a Black Widow goodie for those that pre-register. Marvel War of Heroes has now been announced by DeNA Co., and Marvel Entertainment and features original Marvel art that should thrill fans. This game looks set to be an exciting card-battle experience using Mobage’s social gaming platform where players take the role of a S.H.I.E.L.D agent battling evil alongside Marvel Super Heroes. The game has a totally new narrative and characters such as Spider-Man, Iron Man and the Hulk can all be recruited by players. The more you play and gain experience, the stronger your teams will become and there will be regular additions of new events and character cards to further your enjoyment. News of the new game came to us from ComicBookResources who say that Marvel: War of Heroes will launch at ComicCon New York from October 11 through October 14. 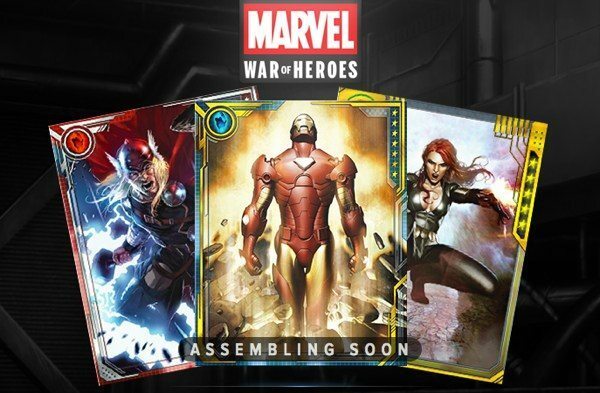 The Marvel Games panel featuring Marvel: War of Heroes takes place there on October 13 so fans will be able to take a look. CBR also brings details of the special limited-edition card of the Black Widow, available to gamers who pre-register for the free app. You need to pre-register for the app here by October 10 to take advantage of the Black Widow card offer and exclusive wallpaper. We imagine a lot of people will be waiting for October 11 to get the iOS or Android app. Will you be one of them?